Brookings Interfaith Council: January Dialogue: "What Do You Want to Know about Christianity?" January Dialogue: "What Do You Want to Know about Christianity?" 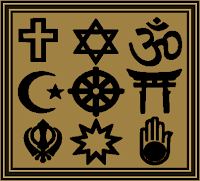 The Brookings Interfaith Council will next meet at 6:30 pm on January 23, 2014, at the Islamic Society of Brookings (724 11th Avenue). Join us for a potluck, followed by discussion around "What Do You Want to Know about Christianity?" What is the Christian view of the Bible? Do all Christians think Jesus was God? How do Christians regard non-Christians? How do Christians account for the presence of evil and suffering in God's world? What is the crucifixion? The resurrection? The ascension? Is Christianity a religion of peace? Are Christians nonviolent? What is an "evangelical Christian"? What are the major Christian holidays? Who leads the church? Who has authority? What do Christians believe happens after death? Bring a dish to share if you're able, or just bring yourself and a friend. Table service will be provided.